At last count, the 7th Humble Bundle for mobile offered six games for your diversionary pleasure. Three new additions make it nine: Soda Drinker Pro, Alpha Wave, and Swordigo. For the uninitiated, the Humble Mobile is a super cool way for developers to earn a few bucks and reward philanthropy. Donations are divided into two tiers: the first three games can be unlocked with any amount, while the entire bundle requires more than the average ($4.08 at the time of publication). Interested? 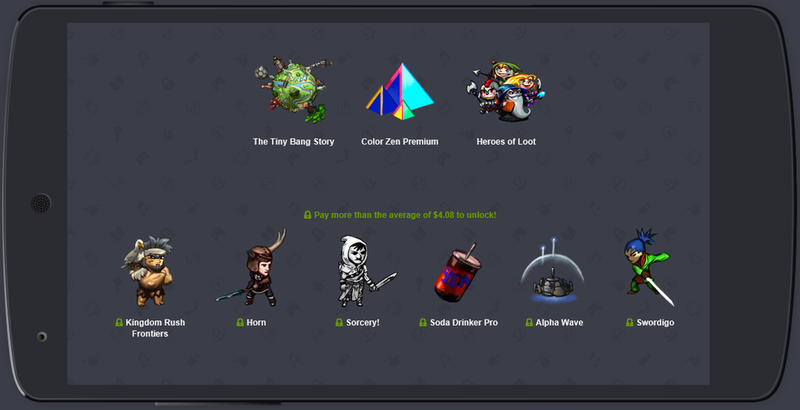 Head over to the Humble Bundle website to donate and download.